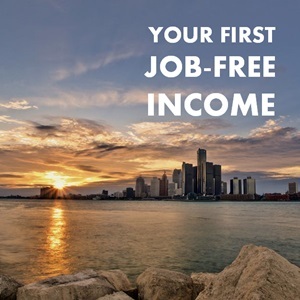 What’s the story of your first job-free income? To celebrate the 4-year anniversary of The Side Hustle Show, I asked the Side Hustle Nation community to join me in creating a really fun episode. I asked people to tell me how they first started making money on the side, and got 25 different voicemails! In this episode, you’ll hear first-hand the steps your fellow listeners took to put themselves back in the driver seat of their own financial well-being. And no matter how you shake it, that first sale is a powerful one. Rich Jones – (1:55) – Career consulting. Julie Morgenlender – (4:22) – Job search consultant. Matt Tran – (6:55) – YouTube channel (Engineered Truth). Shane Labs – (7:37) – Built and sold a joke website, which led to freelance work. Dr. Caitlin Faas – (9:25) – Freelancing on Upwork. Michael Alder – (11:37) – Carpet re-selling and installation. Elle Martinez – (13:18) – Freelance SEO writing. Stefanie O’Connell – (14:00) – Babysitting, hosting; now freelance writing and brand representation. Christi Johnson – (16:45) – Freelance copywriting. Ozeal Debastos – (18:17) – Selling break-dancing tapes on VHS. Tyler Basu – (20:20) – A book on sales published on Amazon. Dennis Smith – (21:55) – A book on how to use social media; now teaching courses on Udemy. Julia Tunstall – (24:03) – Rental real estate; now a website for bartenders and cocktail enthusiasts. Jalpan Dave – (25:28) – Stock market investing w/ options. Tracey Minutolo – (26:37) – Virtual assistant for podcasters; now a side hustle coach. Yann Ilunga – (27:48) – Freelance writing and web design. Kim Anderson – (29:55) – Sock monkeys, used educational electronics, and “boho” dresses on consignment. Sally Miller – (31:08) – Kids consignment event business; now self-publishing books and courses. Priest Willis, Sr. – (34:07) -Affiliate marketing, dropshipping, and freelance web development. Aja McClanahan – (36:13) – Kool-Aid stand, database consulting, and blogging. Danielle Isbell – (37:48) – Photography; now digital marketing while traveling the world. Morgan Gist MacDonald – (39:23) – Freelance editing. Andy McCabe – (42:49) – Ebook and course sales in the insurance restoration niche. Scott Carlson – (44:33) – Building computers and selling them on ebay. How would YOU answer? Be sure to leave a comment below. Did you like this episode? It was my first attempt at a round-up style episode so definitely curious to hear your thoughts. All the 25 had implement new idea. So, I think new idea and their implementation if the key for success. Grateful to Nick Loper for sharing this allocating post. It will encourage us to get make good use of your ideas. Thanks. Great Podcast, very inspiring for us entrepreneurs. 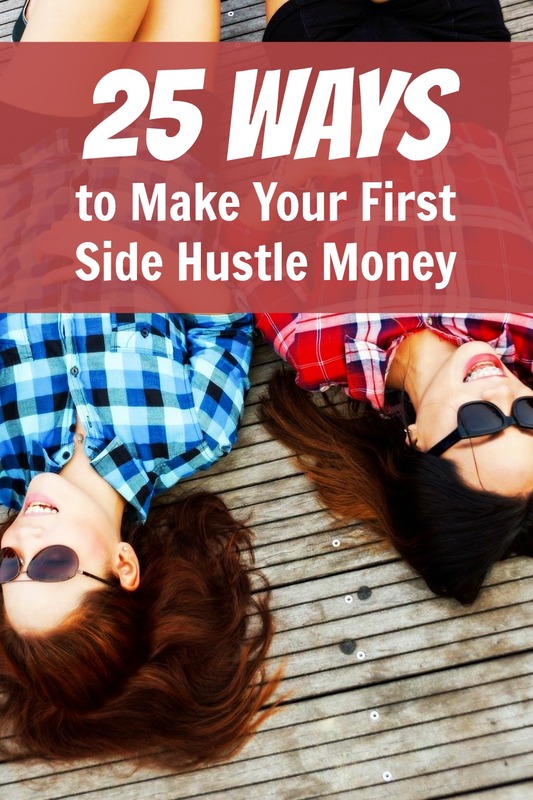 For me my first (even my fiftieth) side hustle dollar didn’t make me pumped to keep going. Often making money has been the way for me to realize I wasn’t on the right track. I’ve always known that my side hustle business ideas were somehow not right for me- even going so far as to get on the phone with you Nick only to be discouraged yet again. What I liked about this episode was that for many of these entrepreneurs, those first dollars weren’t in the business they own today. What an awesome reminder that we all start somewhere and it’s only through perseverance that we can find our true business fit. I hope to have just found the “right” business for me. I am making progress daily but I’ve yet to make that first dollar for this business. Maybe this time I will feel the thrill of accomplishment and pride I’ve been searching for through all of my “hustle and pivot” ventures. Thanks for this episode! Sorry! I didn’t mean to imply that our conversation discouraged me! I meant to say that you helped me realize I was on the wrong path again, which was discouraging. Ive been following you for months now and since the beginning every show has been inspirational. My first side hustle income was ebay, reselling clothing and antiques, i made maybe 250$ for the month but am still trying other outlets. My main take away from your show is to just get it where you can, find what works and get it going!! Love the round up! Awesome podcast! It’s hard being an entrepreneur with so much skepticism and naysayers around. This is a great encouragement!